Directly from Sweden, Thomas Vikstrom talks with me about Therion’s future and his like for Mexican ‘Luis Miguel’. 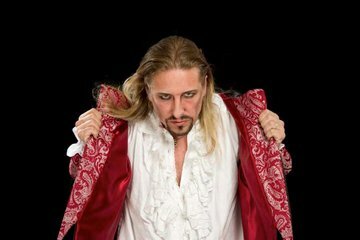 Thomas is the vocal of the most emblematic band and founders of the symphonyc genre Therion, about to start a new tour in Latinamerica next May, they’ll be performing pieces of their brand new Opera Rock. By the time of this interview being made, Therion was in the middle of the hibernation time while creating the songs for the Opera. This interview was made back in April 2013. I must say that, this has been the funniest interview i’ve made, it has many highlights, like Thomas being a fan of Luis Miguel, a Mexican balad musician. Hi Thomas! How you doing? I have to say that… This is an enormous pleasure for me, since I am a huge fan of Therion, Thank you very much! My name is Kenta, let’s start! 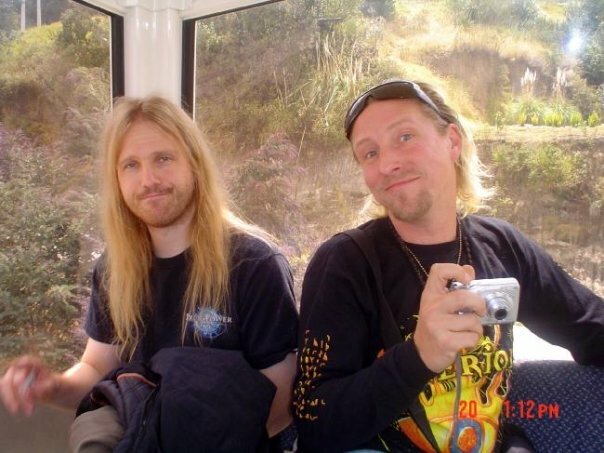 1.-Thomas, the first question is of course, how do you feel being in Therion? What impact did Therion have in your life when you got into it? First of all Im very proud being a part of it. When Christofer asked me to join in in 2007 I had never heard the band. But when I listened I was like Wow…This is fitting me perfectly. So the impact with all the touring and meeting with all Therion fans have been fantastic!! I still claim that we have the best fans in the world! 2.-Therion has had too much changes in its line-ups since it started, how is the relation between the current members? The relation Is very good and healthy. And we are all friends. Its like a family. 3.-Do you think the actual line-up could last forever? As it feels now yes! But with Therion you never know. But right now there are no signs what so ever for member changes. 4.-Talking about the actual plan for Therion, not too much performances by the way, a resting period, more or less how much time ago did Christopher tell you and the guys about these plans and how did you take it? I hated it! If I could chose I would tour constantly. But to see it from the positive side, I think the project that we will do will be very cool! We already started to work on it!!! 5.-By the way, every member in the band is working on their solo projects, which are yours? Im doing the Musical “ROCK OF AGES” right now in Stockholm (Or Estocolmo as you say) And Im contracted to do so for almost a year. Luckily Im free this summer to do festivals with Therion. But it’s a very cool thing to be a part of. 6.-Tell us about ‘Queen Symphonic Rhapsody’ What is it about? And how and when did it start? I was called by the Spanish production company Moonworldrecords. And they told me about this Queen project. It’s a big project with full symphony orchestra and rock band and choir. And we have been touring in Spain with that. Lori Lewis did the last tour with us! And since Im a big Queen fan its extra fun. There are plans of taking the show to Latin America! Lets hope for that!!! 7.-Kenta: Are there already plans of touring this year with this project? You mean the Queen project?? Not for me because Im stuck in Stockholm for this year. 8.-Do you think that it’s possible to bring QSR to Latin America in the future? It would be so great! As I said there are plans. But it’s a huge set up. And it will cost a fortune to fly over a full orchestra over seas. The solution would be to use orchestras on the place. I know for example in Venezuela you have fantastic classical instrumentalists! 9.-Thomas, have you thought about starting a band by your own? Not at the moment. Therion is my home. Maybe as a side project. We are actually talking about doing a new Talk Of The Town album. But only record. No touring!! We all do it for our original drummer Staffan Scharin that passed away in 2007 in the horrible disease ALS. Right now there is no cure for that disease so we going to let some of the money for the record go to research for ALS. 10.-Are you that kind of musician that always keep on writing and composing or you just wait for the moment when the inspiration comes to you? Are you currently writing some? I actually work best with the knife to my throat. I don’t need to sit around and wait for inspiration. Yes, Im actually working with Therion material! 11.-Which songs have you written for Therion, what did you inspire in to write them? I wrote a lot of songs for Therion. But so far I only had one song on a record. Sitra Ahra! In the end Christofer decides what songs that will end up on the records. Which is fine with me. He created the monster! 12.-Thomas, I like to philosophize with the people I use to interview, And I thinks it’s very interesting the concepts Therion manages, then, do you think that studying Mythology may contribute something to the people in this XXI century, who lives a very fast and stressfull life, and why? 13.-In Sweden, Mythology is taught in schools? Not so much as people seem to think outside Sweden. Only the basics are taught. Like all other religions. Religion has a very very small place in Swedish society. I don’t know anybody who read the whole bible. Not my father or mother. Neither have I. 14.-What would you say is the most important thing in your life? It may sound like a cliché but I have to say my kids! I would throw myself in front of a train for them. It has gone very smooth! Linnea Is a grown up girl and can take care of herself. And before she joined we spoke about it and, I don’t spy on her and she don’t spy at me. Even if she is my daughter we have to separate father and daughter relation with working situation. Its funny because male fans comes to me and ask, I’m sorry Mr Vikström but can I take your daughter to dinner or this and that. And I tell them, well… The best thing you can do: Ask her!! If she wants, she is free to do so. As much as she wants. Im not her boss! That stopped the day she turned 18. There is a good saying by a very wise man. “ You don’t own your kids, you just borrow them for a while” The only thing I have told her is: Be nice, Behave, and don’t take drugs! 16.-You have worked in Professional Operas right? How was that experience? Do you plain to do it again? Its very fun. And also another thing. Opera is sung without microphone. And you got to make yourself heard through the orchestra to the last row. And yeah, if I had a good offer I would do it again! 17.-In fact, I once watched a video in Youtube where you performed such an AMAZING vocal register in ‘Land of Canaan’, I just was shocked, it was a very high note, and I just were watching it once and again lol, what do you do to keep your voice in these perfect conditions? Thanks so much! A matter of fact Im bad with taking care of my voice. But if Im gonna sing something difficult I don’t drink the day before and Im trying to get a good night sleep! 18.-I have never sang professionally and do not know too much about vocalizing, how can someone get on know by its own if he/she can sing Opera? Is there any easy method to get it? Its unfair. For some people its easy for some not. Some people can Draw or paint and they just can. And they cant explain why. But everybody can get better. Its same here as we talked about earlier. Some people just can. I don’t and I envy the ones who can because I think it’s cool! I can sort of fake it in studio. But Im really bad with it. I didn’t figure out how to do it yet! But who knows?? One day maybe! 20.-Since Snowy left Therion you are the only male singer in the band, this is a big work for you, how do you manage it? How do you do to mix some lyrics which are very close one to each other in some songs? I was worried about the same thing when Snowy left. But surprisingly it went very well. I do my own thing with it. But with Snowy or Therion you never know. Its not impossible that Snowy will tour or record with us again. If he wants Im the first one to welcome him to do so. 21.-Thomas, did the other members apart of Chris participate in the composing process of Les Fleurs du Mal? Les Lleurs du Mal is a cover record in French. Its one of Christofers twisted ideas. He started to listen frenetically on French songs in the tourbus during the Sitra Ahra tour in Europe. And when he gets an idea its impossible to stop him. But out of craziness comes a lot of fresh and good things. This is one of them. Me, Lori, and Christian Vidal was doing a lot of work for this record. Not composing but arranging and producing. And I had help from a beautiful French woman to get the words right (I don’t speak a word of French) . I have never struggled so much with a record before. A song that normally takes me an hour to do turned out to take me a whole day!! 22.-Which are your favorite bands? 23.-Do you know some current symphonic bands like Epica, Nightwish, Sirenia? What do you think about this new generation of symphonic bands and which band would you recommend to us? I think they are all great! And I really like the genre. It brought back artistery and show from the amazingly boring grunge style that dominated hard in the 90:ies. And I think it’s a style that will survive. Because its quality. 24.-Do you listen other kind of music out of Metal? Which non-metal band/act would you recommend to us? Oh yes I do! ABBA, BEATLES, EART WIND AND FIRE, TOTO (Which borders to hardrock) and also a lot of Swedish music. I am also a big fan of LOUIS MIGUEL, the latin artist! La Bikina is one of the best songs ever written! A lot of latin people especially rockfans finds it very cheesy. But for me its great! He has a great voice. 25.-What do you think about the future of Therion? Do you imagine Therion touring the world with the first professional Metal Opera? It’ll be great if you could come to Latin America! 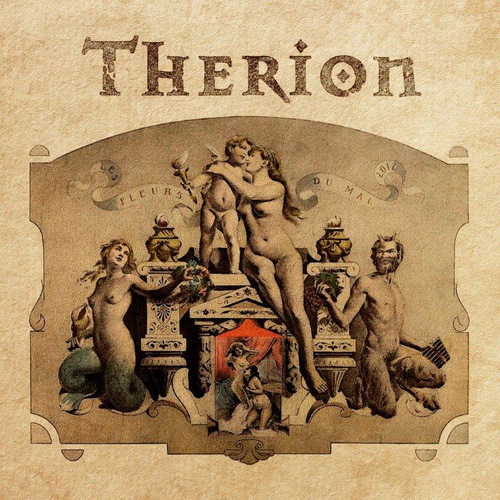 26.-Which is your Therion favorite album and song, and why? Hard question. But I think I hold Gothic Kabbalah as my fav record. To pic a certain song is harder. Sitra Ahra (Because its MINE!!) Gothic Kabbalah, Son of the sun, Adulruna Rediviva. If you ask me tomorrow you may have another answer! 27.-I read that you will work with a band called AfterDreams, what about that? It’s a band from Argentina. I had a girlfriend in Argentina before so I spend much time there and learned some Spanish. And I realized that depending where you are from Spanish is very different. Swimming pool for an Argentino is PILETA, Tortilla is pronounced “Tortisha”.. Interesting. Afterdreams is a band of one of my best friend’s little brother. They asked me and Christian Vidal to make a guest appearance on their album. So…We did! And I hope they like what we did!!! Its fun to help out. But you cant do it to much because it delutes the exclusivity of your appearance and voice. But its hard to say no, and these guys are friends so it was an easy choice! 28.-From the metal scene with who would you like to work with and why? Would kill to work with Brian May, or Paul Stanley or sing a duet with Rob Halford!!! But my wettest dream is to one day be able to do the “Phantom” of “The Phantom of the opera”. I go anywhere in the world for it!!! 29.-Thomas do you know that Therion has a fanclub here in Venezuela? Me and my friend Oriana work there, would you like to come with Therion in the next tour? Yes! I know that and I am very very humbled for it. Everybody in the band knows it and we are all extremely disappointed that all of our planned shows has been cancelled in Caracas. But Im sure we will be there some day. I really wanna go. A lot of people in the Queen Symphonic Rhapsody orchestra is from Venezuela. One from Isla Margarita, another from Bolivar and Caracas etc, etc. I’ve seen photos and its beautiful. My best friend’s girlfriend is Venezolana just as a detail! 30.-Finally, what would you say those who wants to start a career in music, what’s the key? You have to be a “burro” and belive in yourself and belive in your dream. Then you must also have a lot of luck. If you have that you will go pretty far. Those are the only keys I think. If I know the exact key to stardom I would rule the world by now. But I don’t! Well, thank you very much Thomas, The fans of Therion in Venezuela will be very happy to see this, and of course we just hope the band to come when Therion makes another world tour, and we hope it’ll be soon! Greetings from Venezuela and see you on the road Thomas, it has been a pleasure! Thank YOU! Cant wait to visit Venezuela!! And I will do everything in my power to do so!!! Lots of love, Thomas V.
P.S: ‘Burro’ means ‘Donkey’, and it’s related to working hard in latinamerican culture. ← Exclusive interview with Australian Visual DJ ‘Gothique Prince Ken (GPK)’.